The cry of the Mandrake is fatal to anyone who hears it. 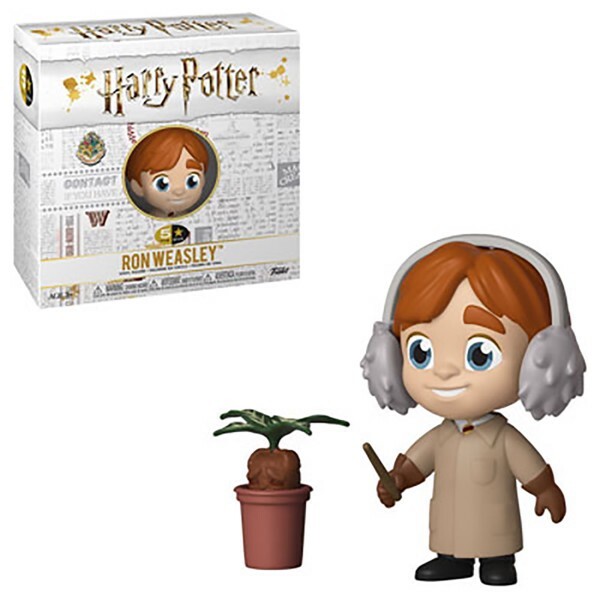 Three times a week they went out to the greenhouses behind the castle to study Herbology, with a dumpy little witch called Professor Sprout, where they learned how to take care of strange plants and fungi, and found out what they were used for. This 5-Star figure features Ron dressed and ready for herbology class, including the coat and earmuffs, which are required to avoid the cries of the Mandrake he is repotting! Add him to your collection today!